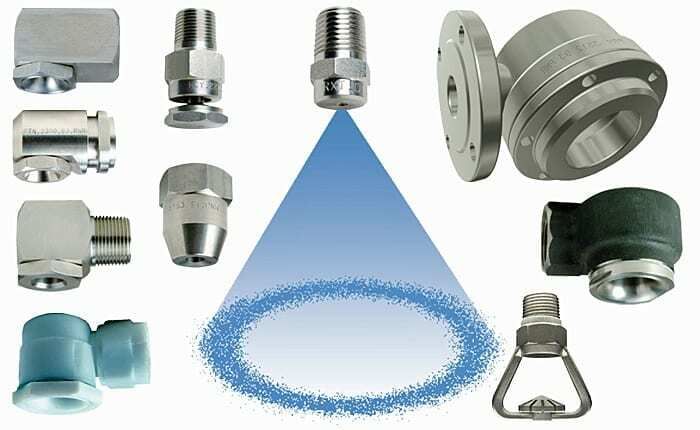 A hollow cone spray pattern consists of droplets concentrated onto the outer surface of a conical shape volume, with no droplets contained in the inside of the conical jet shape. 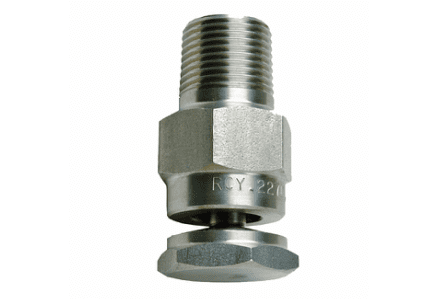 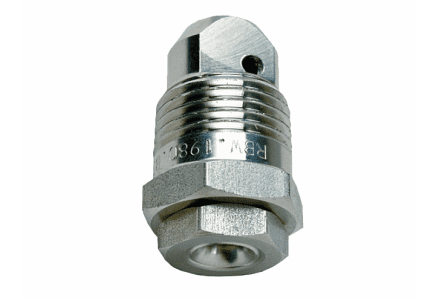 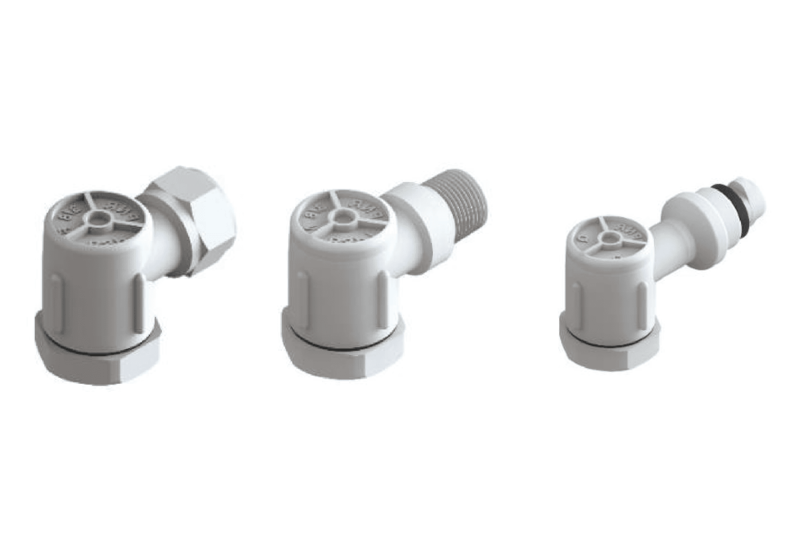 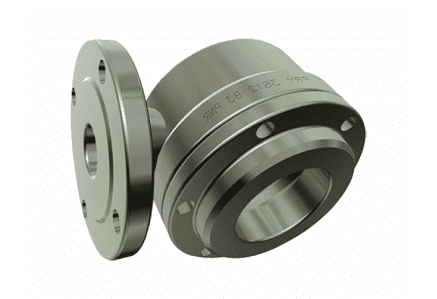 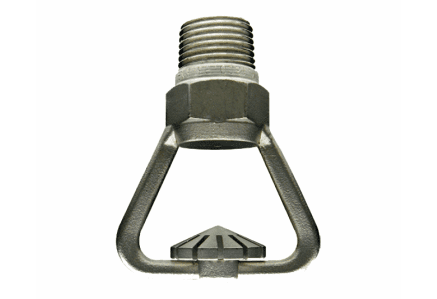 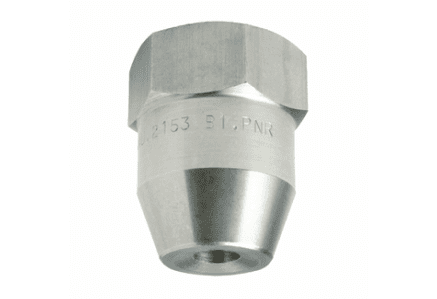 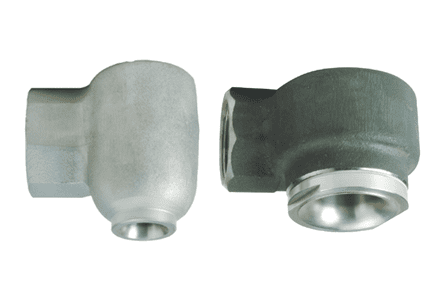 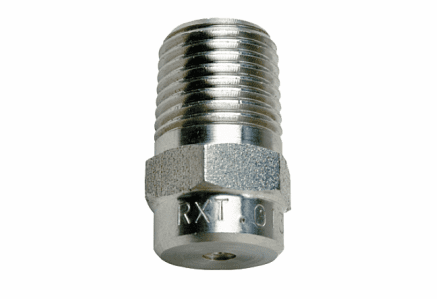 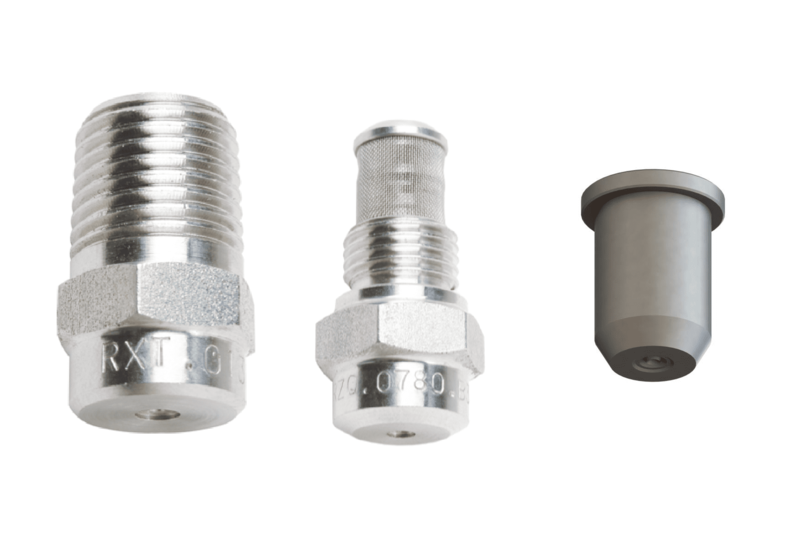 These nozzles are normally used for smoke washing or gas cooling applications in several industrial processes. 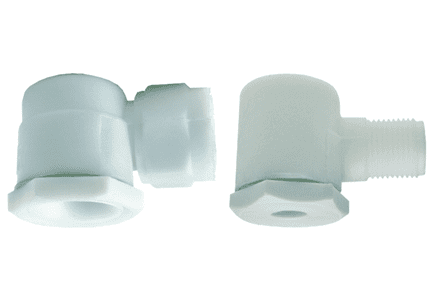 These nozzles use a tangential injection of liquid into a whirling chamber to generate centrifugal forces which break up the liquid vein as soon as it leaves the orifice. 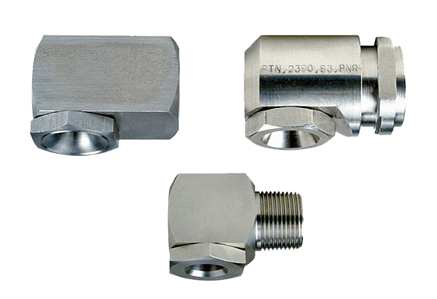 Precisely designed orifice profiles, making use of the Coanda effect, provides the ability to obtain very large spray angles. 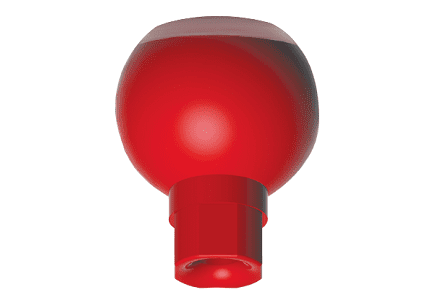 A hollow cone can also be obtained taking a liquid flow to change direction onto a properly designed surface, in order to break the liquid into droplets and distributing them as a hollow cone spray pattern. 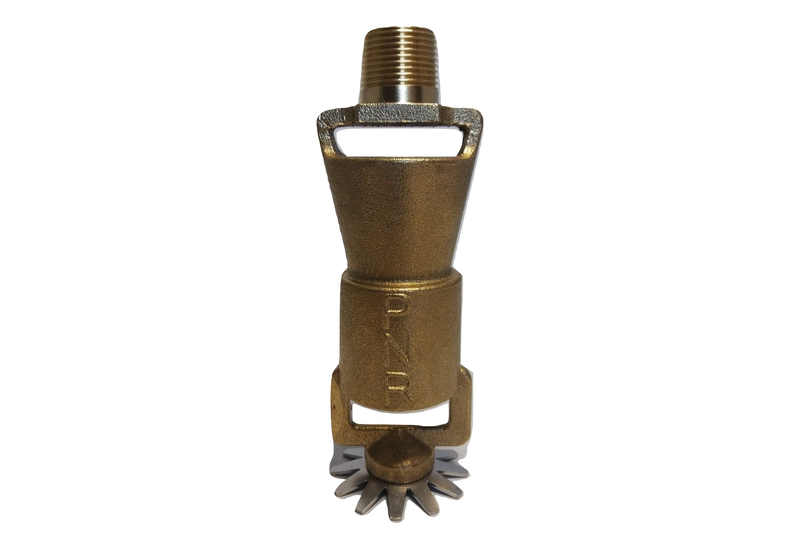 This kind of nozzle is mainly used for applications in dust control and fire fighting systems.